When adding a user, the working hours are automatically set to 9:00 AM - 5:00 PM. If no consultants are available at a given time, the widget will not display on your website, unless you set it to show in scheduling mode in Targeting >> Behavior >> Advanced settings. If you are in a time zone different than CET (Central European Time), make sure to adjust the settings accordingly (Settings >> General >> Time zone). If the widget displays at between 9:00 AM - 5:00 PM CET, you won&apos;t be able to see it in the US at those times of day. Make sure that under Targeting you can see the consultant name and the widget (see below). Check that the targeting group is turned on. Note: If you are on the free version, you won&apos;t be able to access the targeting section. However, the user will be automatically added to targeting. Keep in mind though, that adding new users in the User section will not add them in the targeting group. So if you delete the first user, the widget will stop showing - contact us for assistance. 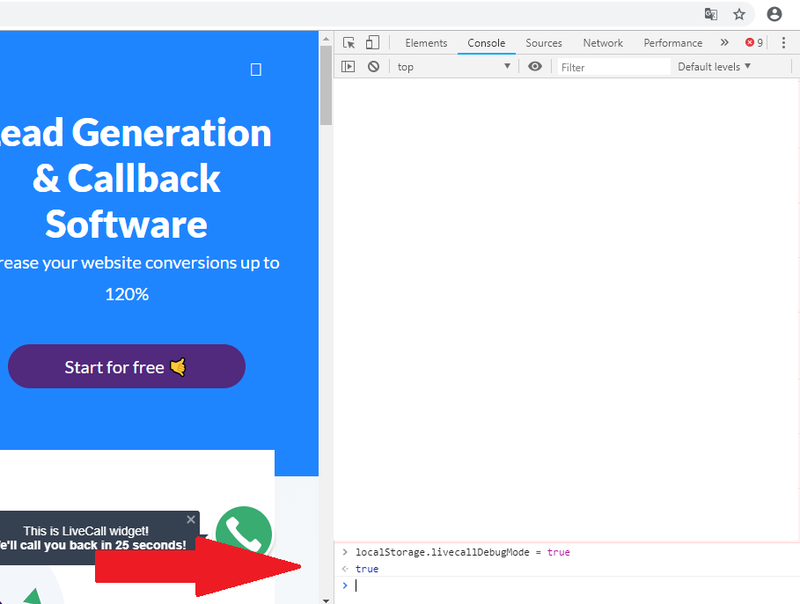 If the script is installed and all the LiveCall settings listed above are configured, perhaps the problem lies in your browser. LiveCall runs on the newest versions of Chrome, Firefox, Opera, Safari and Edge. Make sure you don&apos;t block pop-ups. Select "Inspect element" and open the Console. Paste the following: localStorage.livecallDebugMode = true and press enter. Now refresh the page and see if the widget shows. If you tried all of the above and your widget is still not showing, shoot us a message on chat or at hello@livecall.io.